For All the Negativity, There Is in the World, Good Always Over Comes Bad! "I'd like to share the nicest thing that just happened at Paul's. Four fine young servicemen came in for lunch today. A family of six that came in right behind them pulled their waitress aside and said they wanted to buy them their lunch. Moments later another lady came to pick up an order to go and wanted to do the same. She said her son just started boot camp at Fort Benning this week and she misses him so much she really wanted to buy them lunch as well. Since they hadn't even ordered yet I suggested that they each put $20 towards their bill and Paul's would pick up the difference. In the meantime TWO MORE groups asked to pick up their check! 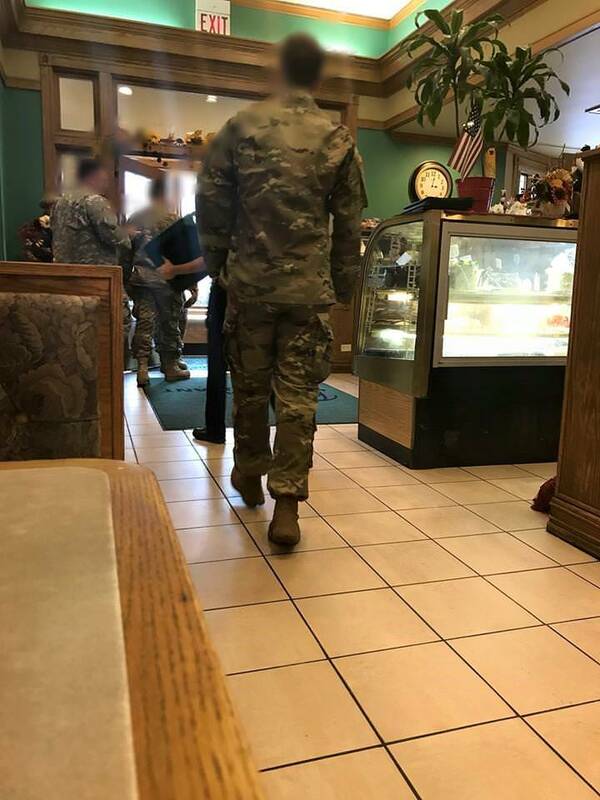 And another gentleman sees them out of the corner of his eye as he's walking out with his to go order and he tosses a $50 on the table and thanks them for their service. By then they already know their tab is covered but I tell them to just take the money for the next time they go out. Later as they're leaving I ask them if they happened to leave a tip...because if they didn't we'd be happy to cover it. They said they left something on the table. I start to clean up their table and I see they left the entire $50 that the one gentleman had given them for their server!" for all the negativity there is in the world good always over comes bad! There Is Hope for Our World,God Bless Him for the Love in His Heart.